Changes to how the ATO reports statistics for SMSF Limited Recourse Borrowing Arrangements has resulted in a dramatic increase in the 2013/14 figures. 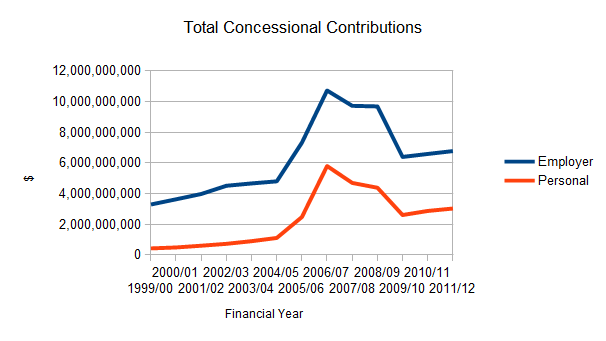 However this really reflects a underlying trend, instead of a actual spike in LRBAs. These statistics are contained in the ATO Self-managed super fund statistical report – June 2014, which includes details of the June 2014 quarter, along with new details of the 2012/13 financial year. 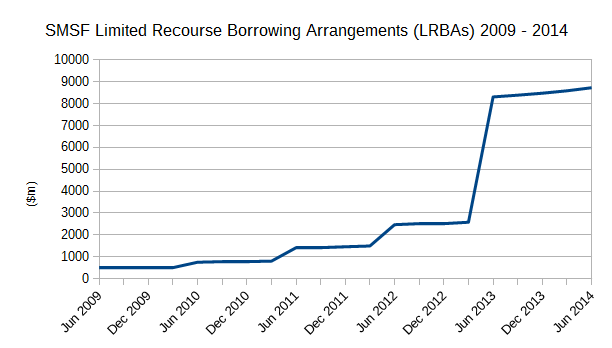 In the June 2014 statistics the ATO has made changes to the reporting of Limited Recourse Borrowing Arrangements (LRBAs), resulting in the marked jump as seen in the graph below. This means that the statistics going forward will be more reliable, but longer term comparisons are not accurate. The changes resulted in a revision to earlier figures, raising the LRBAs from “$2.6 billion in 2013 to $8.3 billion,” according to the ATO. Roy Morgan Research has found that members are much happier with the performance of SMSFs than industry and retail funds. 75.6% of members are satisfied with the investment performance of their SMSF, as compared to 55.8% for industry funds and 53.7% for retail funds. 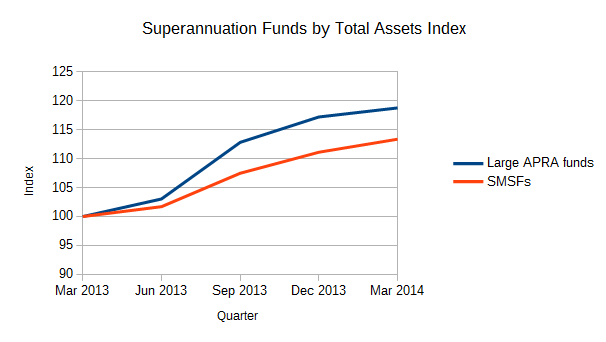 Across all funds 55.1% of members were satisfied with the investment performance of their super fund in May 2014, compared to 47.9% one year earlier. The research report, Superannuation Satisfaction Report – prepared by Roy Morgan Research, is compiled from more than 30,000 interviews per year. “With the expansion of the SMSF sector, satisfaction with financial performance is increasingly a factor that fund managers should be taking notice of. It appears that satisfaction with superannuation has a lot to do with the amount in super and the consequential level of engagement”. Are SMSF members getting younger? The graph below, based on the most recent available ATO statistics, shows the age range of all SMSF members as at June 2013. Read More »Are SMSF members getting younger? 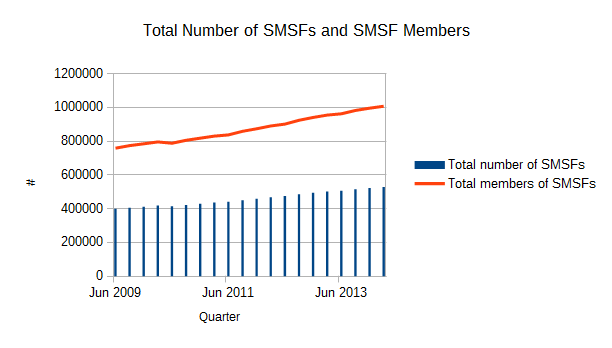 How did SMSFs invest in 2013?